Design & Content Creation: Pick the Hat that Fits You Best! Have you ever played a work role that you felt wasn’t the best fit? Did you feel that your skills didn’t quite match up? That might be because you didn’t choose the correct hat to change in at different times. When it comes to project and design, many people tend to believe that specifics are key. They are. It is good to work with a single desired skillset to your best ability, but if there are other skills that you can provide at the same quality, pick different hats at the correct time. According to Russ Unger, a guru in User Experience design he states that you need to understand that “the roles you will play depend on the type of project and the makeup of the rest of the team” (A Project Guide to UX Design). Think of the team that you work in as a platform to allow yourself to switch between roles alongside your colleagues. This will help build drive, determination and increase the quality of content that is created. Use your team to help you switch your hats. Pass your hat on to another team member. It’s time for you to pick that hats that not only fit you but suit you best! 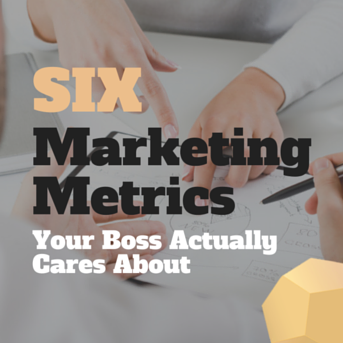 Download our Cheat Sheet to Show Your Boss the True Value of Your Marketing!